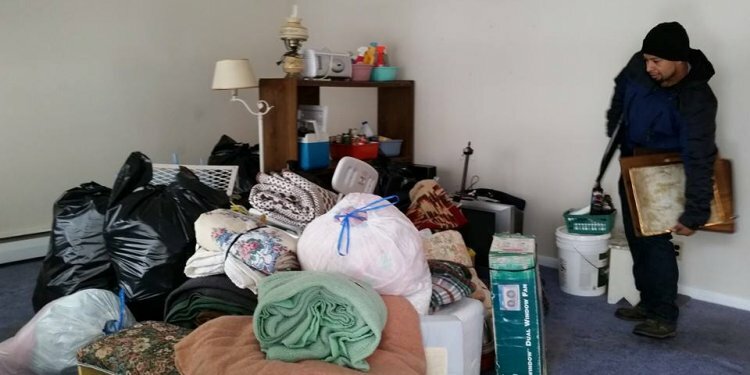 Junk removal from residential homes in Wake county is the most common service that we provide. It is not uncommon for customers to call us to remove junk from their garage, attic, storage shed, closet, bedroom, or yard. Wherever you have junk at your home we will pick it up and get rid of it for you. After we take your junk away we will sort it so that it can be directed to the most suitable facility, such as local recycling centers or charities. We collaborate with several non-profit organizations that distribute everything from food to books to clothes to furniture to those in need locally. Obviously, some junk must go to the local landfill, but as the greenest junk removal company in the Triangle we work diligently to keep it to a minimum. What kind of residential junk do we remove? For the most part if your junk isn’t regarded as hazardous, chemical, or biological waste, will fit in our truck, and our crew can safely load it, we will remove it from your home. Sorting/Organizing – Helping to clear out an estate/hoard before or without removal. We can help locate lost, valuable, or sentimental items. We can clean up, organize, and remove items that are no longer needed or wanted. This service is especially helpful for some of our elderly and/or handicapped clients that may no longer be able to do it themselves. McJunk is the Triangle’s greenest junk removal company. No other company in the area is as committed to recycling. When we remove your unwanted or unneeded items we then sort them thoroughly so that it may be directed to the most suitable facility, such as a local recycling facility or charity. We collaborate with several non-profit organizations that can salvage goods and donate them to people in need. How much does Residential Junk Removal cost? Our charge is based on volume, meaning the amount of space your unwanted materials takes up on our truck. We can provide you with a rough estimate over the phone, but the final estimate cannot be given until we come out to your residence and are able to see how much and what you have, and where it’s located.